Hi all! I'm so excited to share that I will be doing some collaborative tutorials with the Lulus.com blog! They have some adorable clothing and I was especially inspired by one of their chevron print dresses. I can't take all the credit for being early. One of my best friends, who has been incredibly supportive of my nail art, has wanted me to do galaxy nails for as long as I've been doing nail art. Frankly, galaxies intimidate me! While I was going to do these for the challenge, I figured I'd do them early because tomorrow is her Birthday party and I wanted to have a surprise on my nails for her! I used A LOT of colors for this mani. Possibly too many? 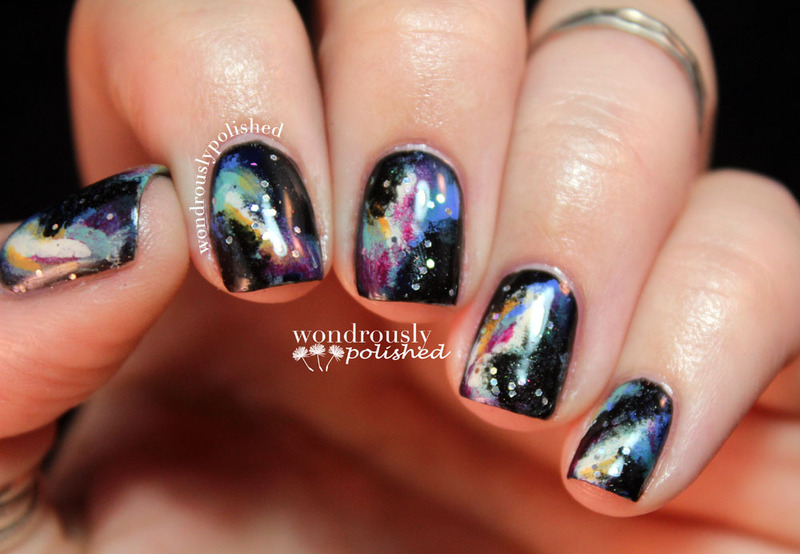 I've never done galaxy nails before and it was much harder than I was expecting. I'm still not entirely sold on these yet - I go back and forth between loving and hating them. But I suppose that can be normal. What do you think? Good or gaff? Hi all! I've got a really quick post for you all today. I've been feeling a bit under the weather and been super busy with other things so I sort of rushed tonight's mani. I'm not overly happy with how these photographed, but I really like them in person! I know that doesn't count for much to you all though ;) My new detail brush made quick work of these spirals, and while my dominant hand looks like a toddler was scribbling on them, I am finding myself staring at the shimmering gold and silver and teal! Day 1 - Be a bad girl and make something you have wanted to do soo badly. 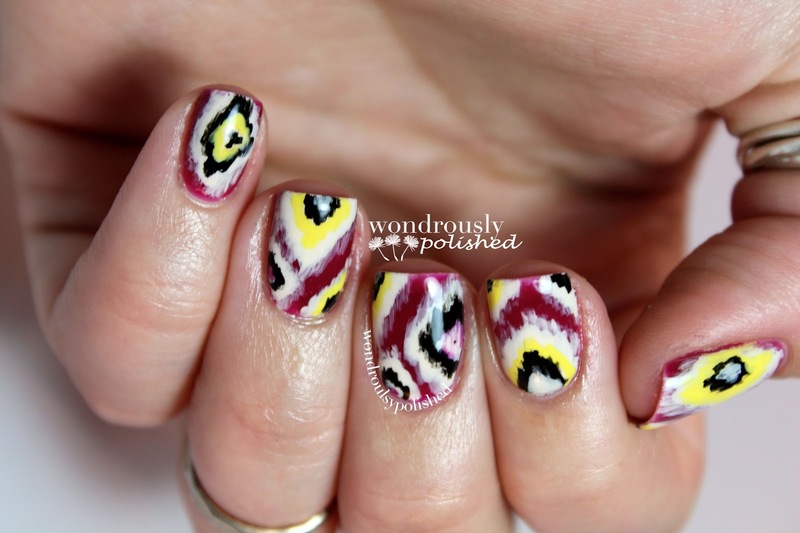 Well, I have wanted to do Ikat themed nails for a stupid amount of time so this was a perfect excuse to go for it! I think I'm leaning towards liking them! I used four colors for this one - OPI's Houston We Have a Purple as the base, Urban Outfitter's Eyes Wide Closed (black), Zoya's Pippa (Yellow), and OPI's My Vampire is Buff (cream). Happy Earth Day!! 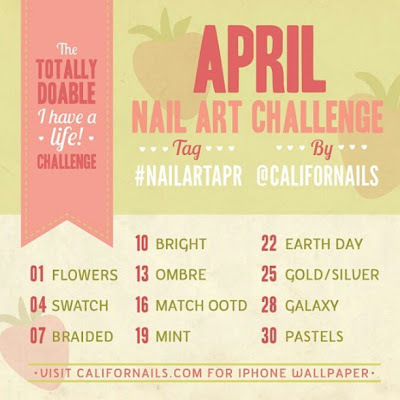 For another hour and ten minutes at least ;) Today's theme for the April Nail Art Challenge is in fact Earth Day. I was really excited about doing something for today because I really do love this planet. It's pretty amazing what we have available to us in nature and all to often I am awestruck by the vastness of it all. I've got a short and sweet post for you all tonight! Tomorrow is Earth Day (yay!) and I want to get a fun mani in for that but before I could move on I needed to finish the current theme of the April Nail Art Challenge - "mint." So, I whipped something up really quick to share with you all. I'm not in love with these, but they are different from anything I've done so far so I thought I'd share them anyway. Hiya everyone! I wanted to share a really awesome offer with you all. It's possible you've seen this floating around the internet already, but the lovely folks over at Zoya are holding an awesome Earth Day Nail Polish Exchange Promotion! So what is this promo about?? Well, the idea is to get rid of your old polishes that are not Big 5-Free. The "Big 5" refers to the chemicals used to make the polish - Formaldehyde, Formaldehyde Resin, Toluene, DBP and Camphor - and they are all around yucky for the planet (and you!). Since Earth Day is tomorrow, Zoya (whose polishes are all Big 5-Free) is offering 50% OFF your ENTIRE purchase through April 26th! Let me know if you end up getting anything! I'm still trying to narrow down my choices...so indecisive! Well, as I'm sure we all predicted, I am behind on my April Nail Art Challenge. I just...I have no excuse! Well, sort of. I just really liked my mani and couldn't part with it yet. I'm sure we've all been there. Alas, I finally caved and started brain storming about the next theme in this challenge - OOTD (outfit of the day). Because I honestly don't remember what I wore 3 days ago, my inspiration was a simple tank top that I've had for awhile, but still one of my favorites. I've wanted to recreate this pattern for a long time so I'm happy I finally got to take the plunge and go for it. Happy early morning! I really should be in bed but instead I decided to fix the chip in my most recent mani...and I thought it would be a perfect opportunity to make a pictorial to share with you all! Anyway, on to the pictorial! 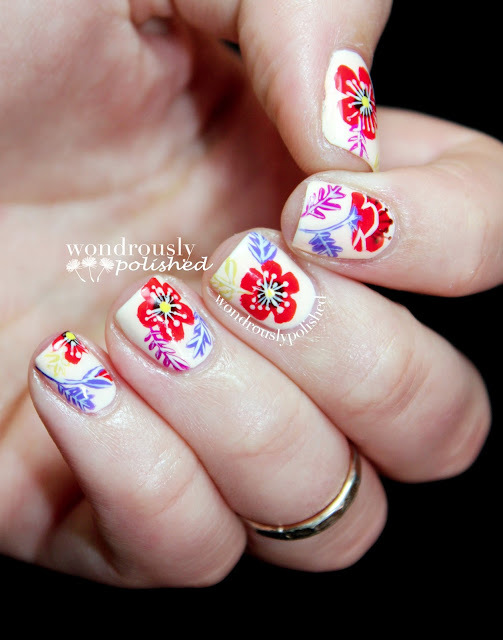 For this mani, you'll need a detail brush and a small dotting tool or toothpick, as well as several different polishes. 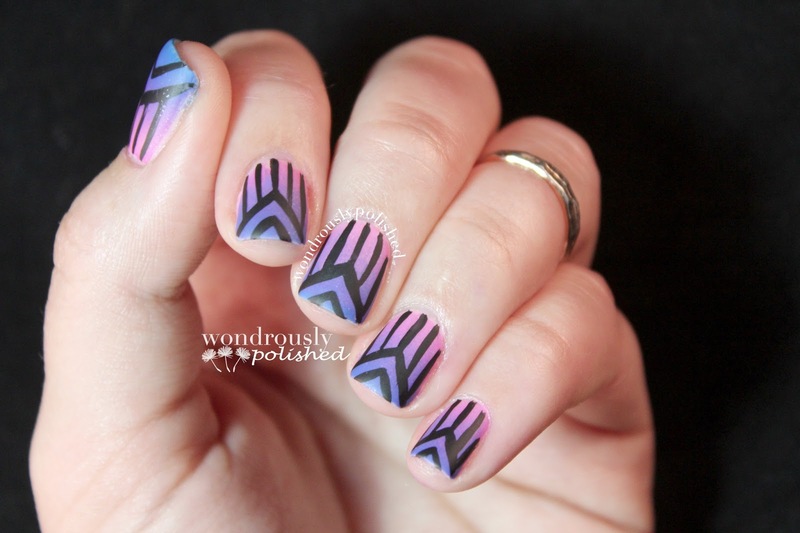 I think you could easily do this with 2 colors, alternating for each step, but I like the bright colors all together. 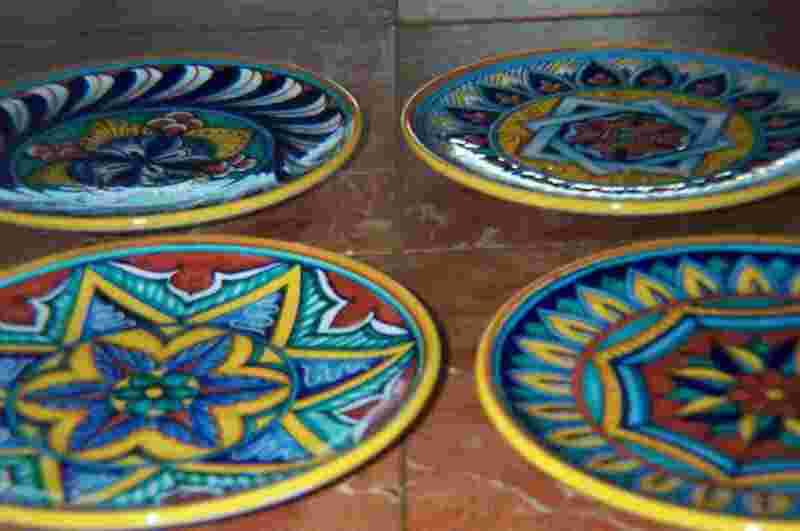 Edit to add: I just found out this style is called Majolica! Regardless of the name, this style of painting inspired tonight's look. The base color is yet again OPI's My Boyfriend Scales Walls, with six other colors creating the flowers (let me know if you're curious about one of the colors). The current April Nail Art Challenge Theme is Ombré. There is some debate as to the difference between ombré and gradient. 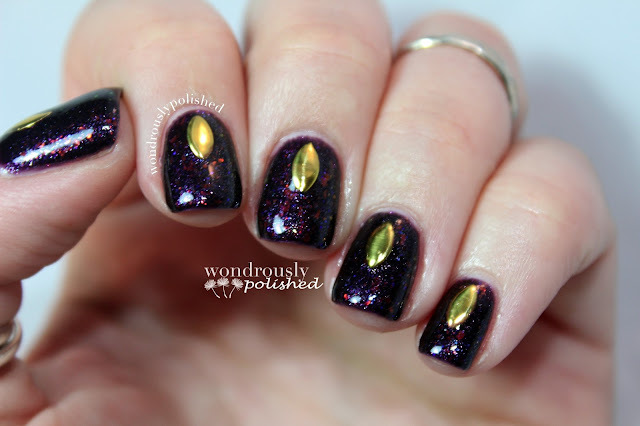 When I started getting into nail art, I found this post from The Swatchaholic and it has become my guide to naming these techniques. It explains the difference between a gradient, an ombré, and a skittle mani. This is the naming convention I follow, so bear with me if you think of an ombré as what I think of as a gradient. Anyhow, I wanted to spice up the basic ombré a bit and ended up doing a doticure with each of my ombré colors. I didn't think I was going to want to leave these on (I even had my next mani planned out and was going to start on it tonight! ), but I ended up loving them...so much so that I even painted my dominant hand. I quickly threw together a tutorial on the water color nails method in case anyone was curious how I did them. This technique is great to add some texture or marbled effects with minimal effort and time. Below is the general idea of what we will be creating! 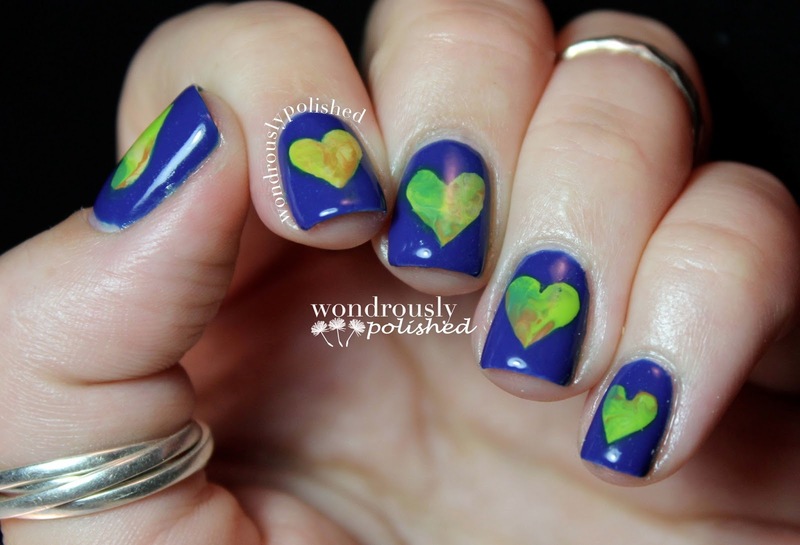 Today's April Nail Art Challenge is Bright! I love bright! Especially this time of year when everything is in bloom and just gorgeous. I wanted to do something really quick and simple, but still unique and fun. Since I'm out of town, I only brought a portion of my collection with me (that's still like 40 polishes, but let's not talk too much about that ;) ). I looked in my bin of polishes and pulled out all the bright colors I brought with me. Apparently, I inadvertently planned well for today because I happened to have quite a few oranges and corals to pick through. My thought process started with doing an ombre of orange to coral...and then I settled on using the sandwich bag method to create some water colored/marbled texture to the ombre. I think they turned out pretty fun! However, since I'm not on my personal computer, I don't have any editing software other than preview on a Mac (if you've ever used preview you will know my struggle!) so I can't add my normal watermark, hence the difference here. Please excuse my horrendous cuticles (I've been so busy I haven't been keeping up with my moisturizing!) and overall messiness D: I can't really believe I'm posting them as they are, but I unfortunately have a bunch of work and studying yet to do today and can't spend anymore time on nails :/ Be kind! I put together a tutorial for these here. Hiya everyone! I have been really busy the past few days and will continue to be until Sunday. I was in a wedding last weekend and had a complete blast! So much fun with family and friends :) I've got a big test this coming Saturday so I've hunkered down a bit until then trying to get some last minute studying/cramming in. After that, though, I'll be free to do whatever again! Yay! 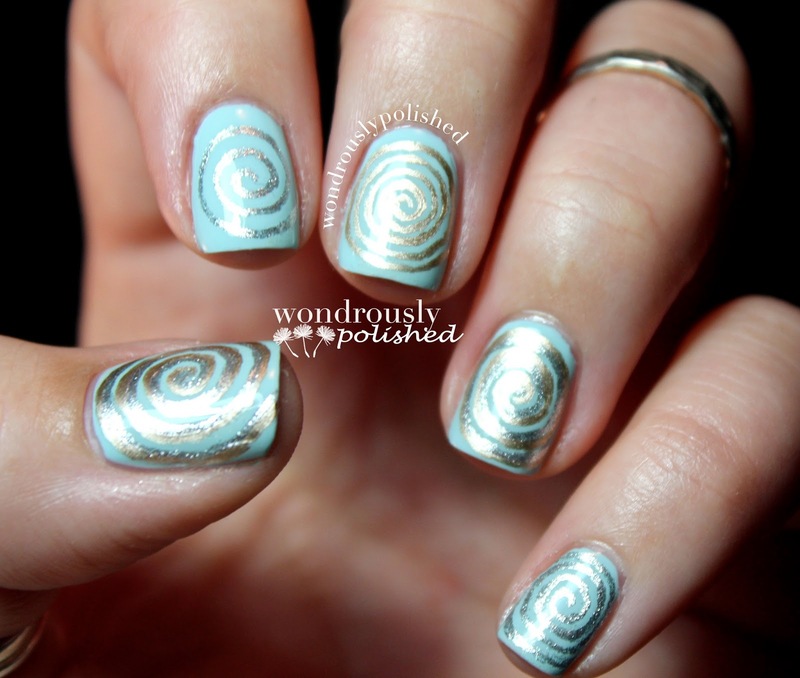 Despite the madness in my life, I have been continuing with my April Nail Art Challenge! I have two themes to share with you - "swatch" and "braided." 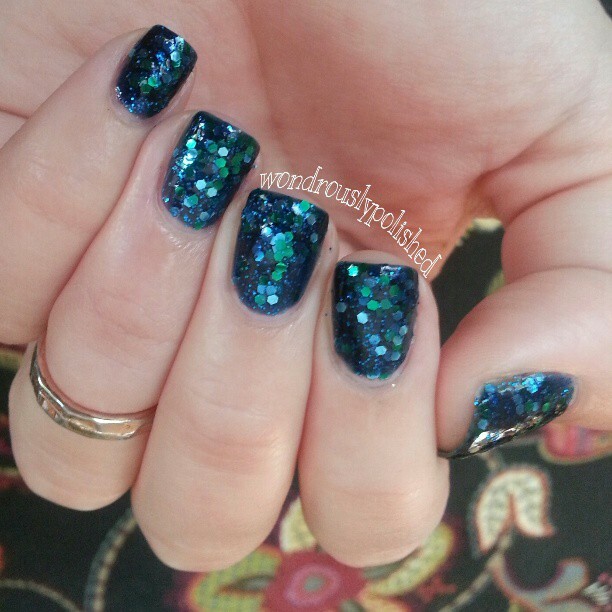 The swatch is the abso-stinkinlutely amazing Across the Universe by Deborah Lippmann. DEAD. This polish is seriously stunning. It's like having mermaids on my fingers!? What? Beautiful in my opinion! This was a Christmas gift from the boyfriend and is something I wouldn't normally splurge on for myself so I love getting to wear it. 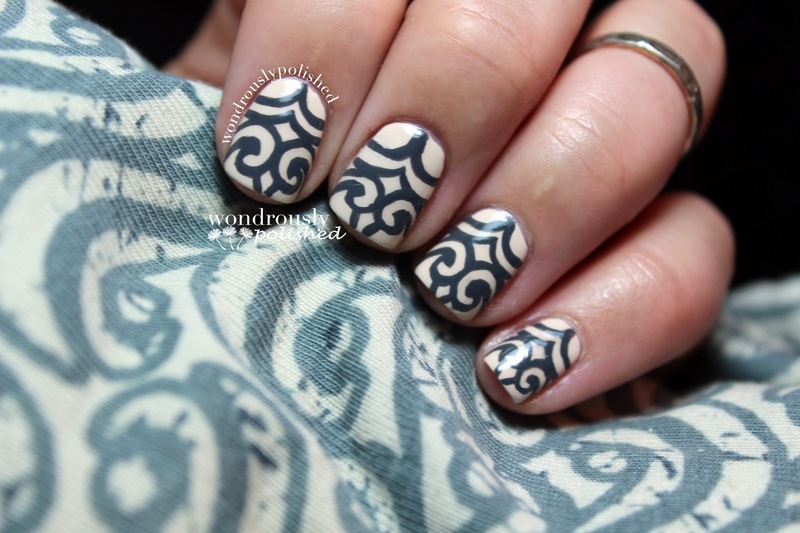 Alright, so I threw together a quick pictorial of the mani I recently was sporting. I'm terrible at explaining things so I apologize for that. I tried to make it as simplified as possible and showed you each step I took. 1. Apply your base color. I always use a top coat between my base color and my nail art. 2. Create your first petal using a dotting tool or small brush. The location and size of the petal is up to you. 3. 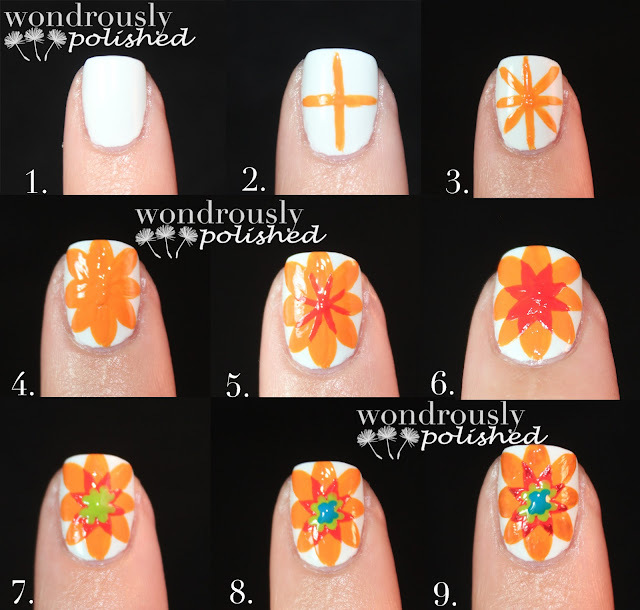 Repeat step 2, adding more petals to create your flower shape. I went with 5 petals but play around with a number you like. 4. 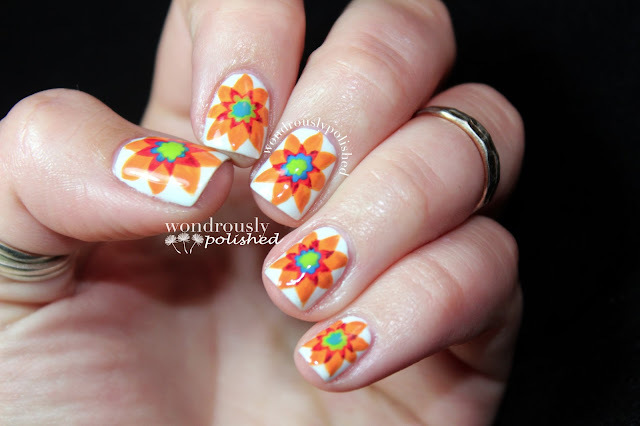 Using a dark polish and your dotting tool, add a dot at the center of your flower. 5. Using the same polish as your base color and a THIN striping brush, create thin lines coming from the very center of your flower out towards the petals. Play around with how many lines you want. 6. Use your smallest dotting tool to add dots to the very end of each of the lines you made in the previous step. 7. 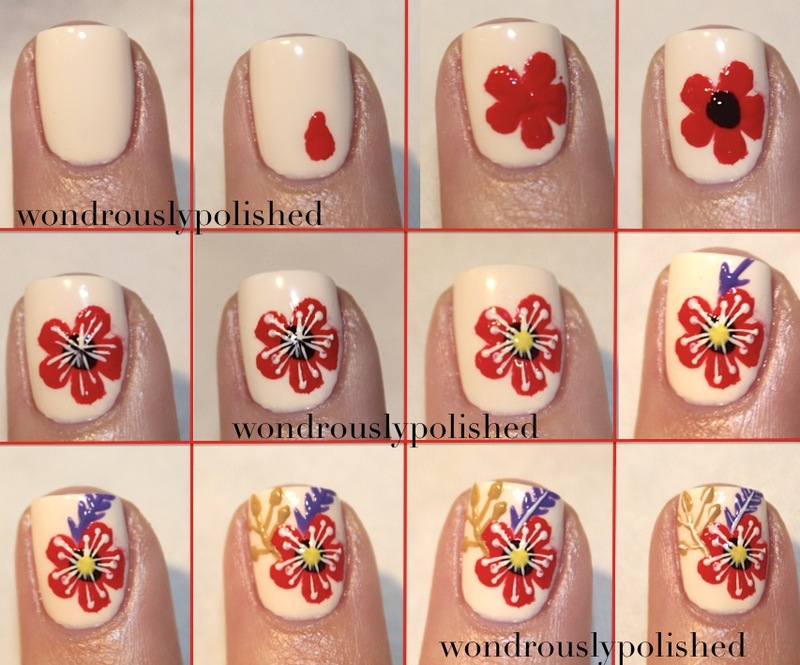 Add a dot of yellow polish at the very center of your flower. 8-9. To create the leaves, draw a thin line away from the flower. This is the stem. The leaves are made up of tiny lines branching off of the original thin line you created. 10. Add as many leaves in varying colors as you'd like. Mix up the type of leaves and shapes as well if you're feeling up to it. 11. Using the same base polish color, draw thin lines down the very center of your leaves and stems. 12. Repeat this proces on every leaf you have drawn. This isn't mandatory, but I think it makes the colors pop a bit more. 13. Finally, add your favorite top coat AFTER you've waited at least 5-10 minutes for your polish to dry. You don't want to smudge your hard work. A thin striping brush, a small detail brush, and a dotting tool. I'm looking into new brushes so hopefully soon I'll be able to whip up even more things for you all! Apparently it's already April?! When did that happen?? Ever since I've graduated from College, I feel like time is speeding by. I think it may have something to do with the fact that I no longer have quarters keeping track of my life. 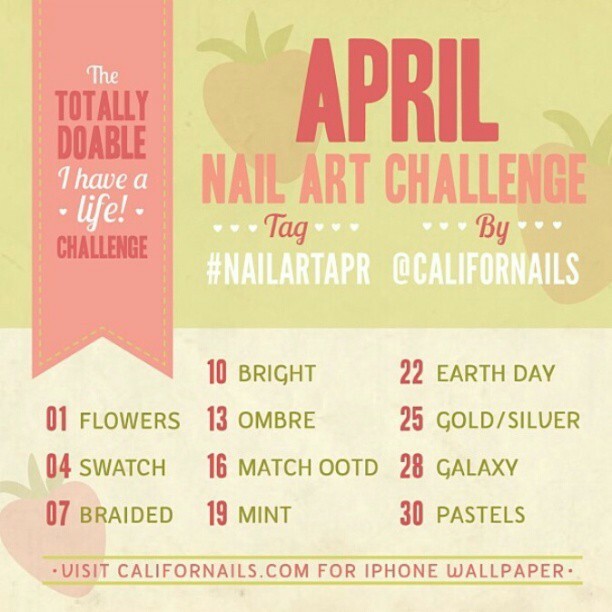 Anyway, April means a brand new nail art challenge! Aren't you all excited? I know I am. I am really excited for the themes this month as well - galaxy, earth day, and braided are particularly exciting since I have yet to do anything like those yet. I am really loving the look of a light background and then pops of color with my flowers so, while I've done this is the past, I think these are still unique enough from other designs I've done. I'm really digging the color combo and I honestly can't stop staring at them! :D Isn't it great when that happens? On Sunday I had a friend tell me that they would love to see pink and blue together in nail art so I decided to create a gradient using the two colors! Well, if you'll remember your kindergarden lessons of how colors work, when you blend red (or in my case pink) and blue together, you get purple! Oh Lindsey, sometimes your brain doesn't work, does it? Despite my gradient turning more into a pink to purple gradient, I like how these turned out. As a friend put it, they are FIERCE! ;) I added a matte top coat for good measure as well. Hi loves! So I have something exciting to share with you all! I was recently contacted by a great nail art supply company called Born Pretty and they have been kind enough to give me a 10% off discount code to share with you all! If you haven't shopped with them before, they have some really great nail art products at a great price AND have free shipping world wide. They are based out of Hong Kong so it will take a little bit longer for the product to reach you, BUT I think that the price and the quality of their products in great and makes the wait time worth it. I know I sound like an annoying infomercial, but I wanted to share with you all this opportunity. Whether or you're just getting started with nail art, or you've been at it for awhile, I think the store has something for everyone. I just ordered some stud rhinestones and a phone case (they have everything haha) and I'm contemplating trying out these brushes for my next order. I can't wait to share with you all the studs when I get them! Yee!